With the recent school shooting, many people have reached out to me about the effectiveness of dog’s in schools as a happy medium for security. I view security like cold weather, in that I believe the more layers protecting what you want protected is the best course of action. While there are a multitude of factors and potential solutions that would contribute to helping in the security of our schools, this is but one of the effective layers. While I’m not mentioning firearms in this particular article, I do have very strong opinions as to the validity and importance of maintaining our right to keep and bear arms. 5 years ago I wrote an article called A sensible approach to school security: K9’s in the classroom. With the recent school shooting, I absolutely believe this could be a big part of the solution to in balancing both safety and security. Unless you have been hiding under a rock, you undoubtedly have been witness to the media coverage of the horrible massacre at Sandy Hook Elementary School last month. Since then, there has been an inundation of political mud-slinging regarding gun control, mental health issues, school security, and overall safety of our citizens. I’d like to take a few moments to cover a common sense approach method to safe-guarding our nation’s most prized asset: our children. Due to the disparity of emotional response on both sides as to how to combat this problem, I believe one of the most viable solutions that both mitigates the risk of an active shooter in a school, yet also eases the tension regarding having firearms in schools, is to employ a school security K9. 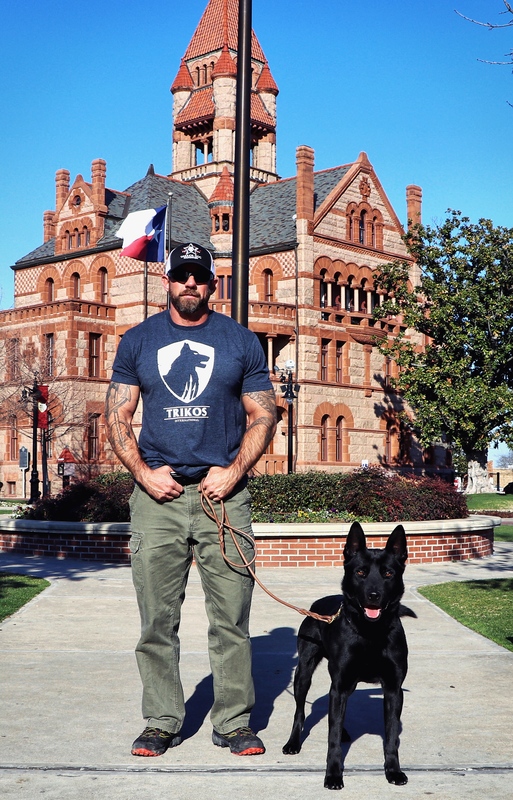 A school security K9 is an incredible asset to have in a school. It not only acts as a deterrent for would-be shooters, but also, if needed to be called into action, is right there on the premises to help neutralize that threat. Security K9’s are unlike any other measure in that it is the one tool that cannot be taken from you and used against you. Weapons have the potential of being stolen or lost, they can malfunction, and they can cause more problems if they are in incompetent hands that don’t have adequate training and experience using them. A security dog however, has far less potential of having any of these issues. As a nation, we have been effectively utilizing dogs in combat for over a decade recently, and quite frankly since the dawn of man we have used dogs to aid us in combat. In theater, our dogs routinely go up against hardened combat proven fighters and have been largely successful. A troubled and mentally ill citizen pails in comparison to what our military dogs go up against day in and day out, and and of our professional soldiers trust these animals with their lives, we can trust them to protect our children as well. The dogs that operate in a working capacity, whether with a SOF unit or similar to ones that I place in family environments as personal protection dogs, have to be clear headed, stable and very social. These dogs exude confidence, are incredibly intelligent, and know the difference between what is threatening and what is not. These dogs integrate into households with small children, other pets, and busy fast-paced lifestyles that very closely mimic what the environment in a school would provide. A dog can’t be everywhere at once. How will he cover the whole campus? There are two points to consider here: 1. Choke points are a security essential regardless of what the other counter measures put in place are. 2. Dogs of this caliber are faster and quieter than any human being on earth, and by a landslide. There is no faster way to close distance around corners, from building to building, and room to room than a highly trained security dog, period. The size of the campus should dictate how many dogs are needed, and it is of course up to the administration to determine its requirements. School Security K9’s are a non-lethal approach to apprehending criminals, deterring would-be active shooters, and maintaining a safe and secure weapon-free option in our schools. No measure by itself is fool proof, but again- I encourage you to look at security like cold weather. The more layers you have to protect you, the better off you will be. School Security K9’s offer the single thickest and safest layer of protection for our children in schools. With the correct training and placement, I strongly believe that this solution can satisfy both the opponents of having weapons in schools, and adequately mitigate the threat of another school shooter headline that makes all of our stomachs turn. Share this Post from Mike Ritland.com! I agree 100% with you. What would the cost be? Wow, this never even crossed my mind as an option, but I really like this idea! By employing a security K9, a school has a lot to gain and nothing to lose, so why not give it a try? I really hope some schools consider this option. Well thought plan and idea. Great solution. Part of a solution we so desperately need. I’m all in using security dogs and if hey are trained by Mr. Ritland they will be trained correctly. This is very interesting… I work in public schools and I think that this actually makes sense! My question is what is to stop the shooter from just neutralizing the dog as well? I know I have read your books and how they take down enemy combatants so a crazed kid shouldn’t be a problem to your dogs, but?? I love this idea… how do you get this implemented? That’s an idea! I like it. Many schools don’t even have safety officers. I would think school districts would need to prioritize having experienced handlers for this to be an effective response. Good article. I think it is a great idea. These dogs would give multiple areas of learning within the school for teachers and students from science, biology, history, world history, even mathematics. This brings about a new side to the ‘every day material’ learning. 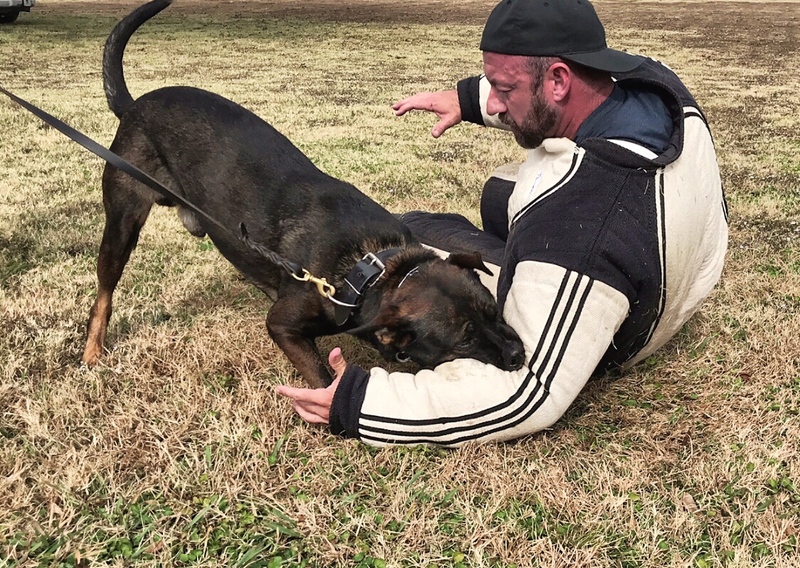 These dogs also, mean business which could deter a good amount of other destructive behavior not related to shootings attacks. However, I think planning not just for ‘guns’ will be very beneficial. This shooting at schools are becoming a “one up” act. Knowing this preparing for the what if (god I hope not) explosives became part of these attacks. This recent attack was thought out, pulling of the fire alarm, etc. I believe inside and outside security, two different teams. Including pre-start of school swipes and weekend swipes. If these attacks are getting worse, the one way to stop it is to plan out every possible option, defend it and be vigilant against it. Stop it before it gets worse. I know certain states/cities in the USA are hiring state troopers and other local police officer on their days off to be present at schools. This is a great idea, though it is taxing the already taxed state trooper and local police officer. A personal friend has taken her rotations off and sits at school to help give students, teachers, facility and parents a piece of mind. She will continue it because she feels as of right now it is the best option. You know I love dogs and think this is a great solution. The problem I see is … who selects & trains that dog ? As long as the dog is trained correctly this Idea is great? The most important argument for or against this solution would be a cost analysis of canines vs. other measures, such as security guards. A few additional points to the article above. 1) Very few people will challenge a dog, let alone two or three depending on school size as noted above. 2) Doge won’t discriminate or profile eliminating that concern 3) Nose work teams can be used for drugs and weapons with a response team for escalated situations. Dogs seem to take the “fight” out of people when they show up. 4) At the beginning of the year orientation, the dogs put on a demonstration of their skill and abilities giving the kids and parents respect for the dogs from day one. 5) I would gladly pay a bit more in school property taxes to add this level of security to the schools in my district. From my observations over three decades in the city in which I’ve worked in schools here in Michigan, there is no comparison between a fully trained canine officer and it’s handler officer, and a team of minimum-wage security guards, too busy scrolling through their telephone to notice kids holding doors open and letting people in from the outside. The trained canine will never be the weakest link. Many hospitals in the Tucson area have employed this type of deployment for a number of years with fantastic success. Boards of education would be better served contracting with a vetted and insured / bonded private sector company than having a municipal, county, state or school district employee because of long term expense. 1) a certified LEO K9 team is expensive to field. Pulling that resource ‘off of the road’ would tie up a patrol resource and compromise its over all effectiveness in community policing / safety. 2) A contracted company / individual that is not a governmental employee may cost more initially but over time, accrued sick leave, vacation time, health care contributions, retirement system contributions and other very expensive ERE ( employee related expenses) are mitigated. In short, the district gets what it pays for up front with no hidden costs over time for services not being rendered. En referencia a la seguridad escolar.Vigilando la única entrada principal no tendrian necesidad de más de un can especializado en armas y drogas y podría ser perfecto compañero para el Sr.portero. Sirviendo de seguridad y apoyo para los posibles disturbios. Are you looking for a better relationship with your dog? Learn online with expert trainer Mike Ritland. Subscribe for Team Dog Updates!